As we are coming off of a truly odd mini-update, I’m going to change things up a bit. I’m going to go WAY out of character, and actually do a post that praises EA. About as weird as Mr. Burns using his pacemaker to mine BurnsCoin? Ah…come on…who would be THAT weird? Oh. Right. EA and the Gracie writers. 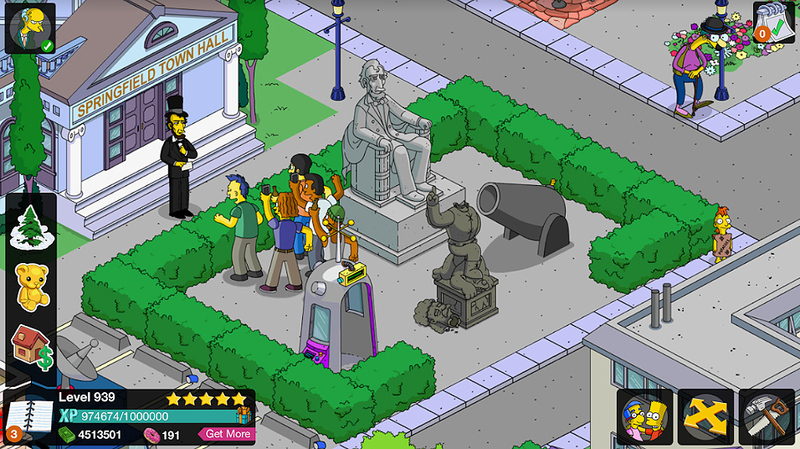 It is bad enough that they have Maggie in a position to shoot Mr. Burns (again), or that Smithers is a suspect because Mr. Burns is being too nice. But, that final twist? Just. Plain. Weird. 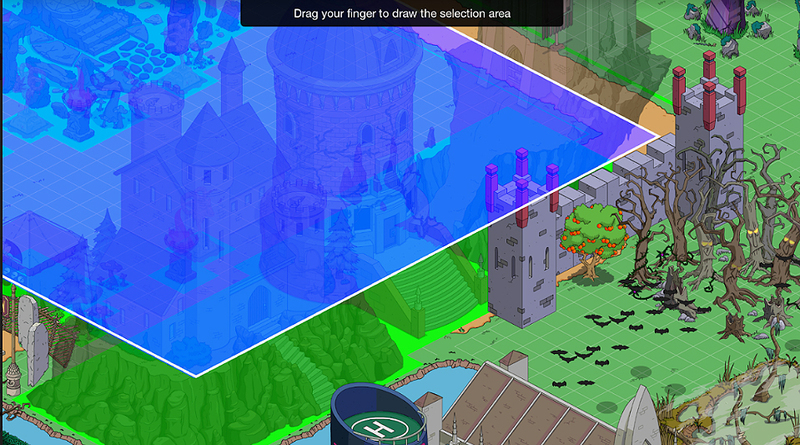 However…in the spirit of this post, I will admit that the sundial animation is fun…and the Sun Blocker? Pretty cool! Although it would be nice if it was more than a 5 second “eclipse of the heart” (sorry…couldn’t resist!). 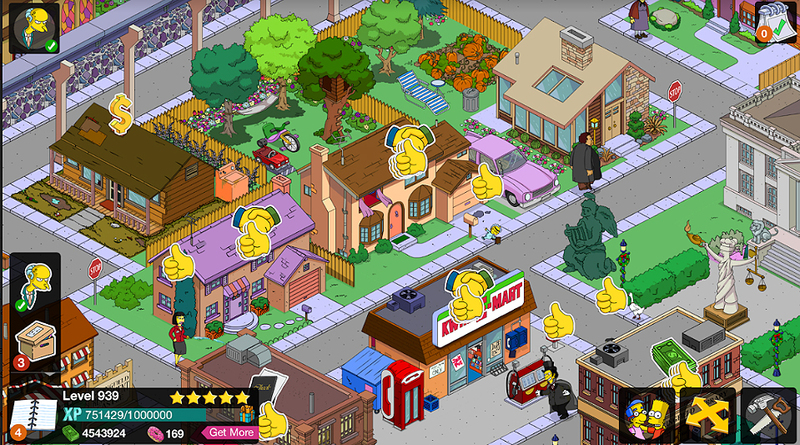 But, again…before I start getting picky…on to Ten Great Innovations that EA has made to TSTO over the years. For those of us who have been playing the game since its inception (for me, Oct. 2012), it is easy to be critical of aspects of the programming. Things like Item Limits, and laggy operations, and…well…things that happen when a game is coming up on 6 years old with legacy programming that is difficult to change. But, there are some things that EA has done that have actually made the game infinitely better. Yes. I said it. BETTER! They are bits of programming, and features that have made the game much more playable…easier to navigate, and way more enjoyable if you want to actually have a real life outside of the game, while “getting it all” during major updates. Here are my picks for the BEST 10 INNOVATIONS in TSTO (in no particular order). Transporters- They are silly. They are fun. And I absolutely use the heck out of mine. I always move one near my staging area of every major update (which is also usually near my KEM farm). 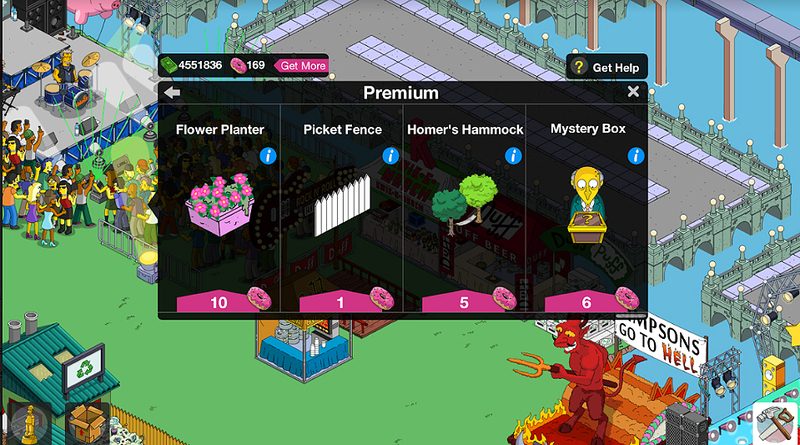 I have another clear across the grid in the farthest corner of Springfield Heights. I have one right next to my courthouse, so I can easily jump to the Census locator. And, I have one right next to my RailYard…so I can keep the action hot. Boom. Boom. Boom. Boom. No scrolling. Just teleporting to all of the “hot spots” in my town. Monorail with Rail Yard– I know that there is mixed excitement about the Monorail (seemingly split a bit between males and females…go figure), but I LOVE my MONORAIL, Monorail, monorail! What I love almost as much, is my Rail Yard…which generates about 5 donuts a day by keeping things in the Recycling facility hopping all of the time. Yes. It can be tedious…but it is just a “BOOM” away with my transporter. Love it. Love the reward…even though even after my last monorail remodel, I still have hundreds upon hundreds of pieces of track in storage. Various Versions of Mystery Boxes- I admit that I am not a huge buyer of Mystery Boxes, although I get the concept. There is no doubt that being able to buy a ton of them to increase your bonus percentage, at a mere 6 donuts a shot, is a game-changer. For those who are inclined, the combination of Donut Farming, along with increasing your Bonus %, has been a boon to the game for Freemium players. I like that they are also part of Daily Challenges once in a while. I just won another TV Truck. 2% is 2%. I’ll take it! Free Donuts with Daily Challenges– When we first started the game, we would visit neighbors, clear junk, and do almost anything for a free donut. I remember being so excited when I got two in one day. 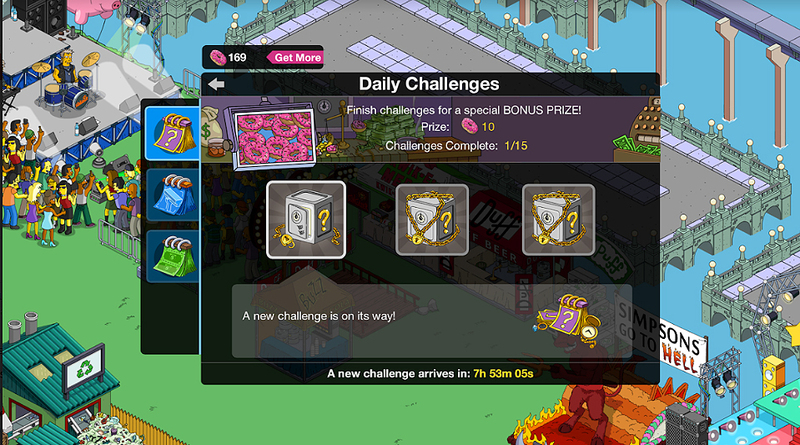 Now, it seems that when we are in the “Major Event Off Season” (which is rare these days), it is pretty standard to be able to earn 3-5-10 or even 15 FREE DONUTS, just for completely daily challenges. Pretty cool. 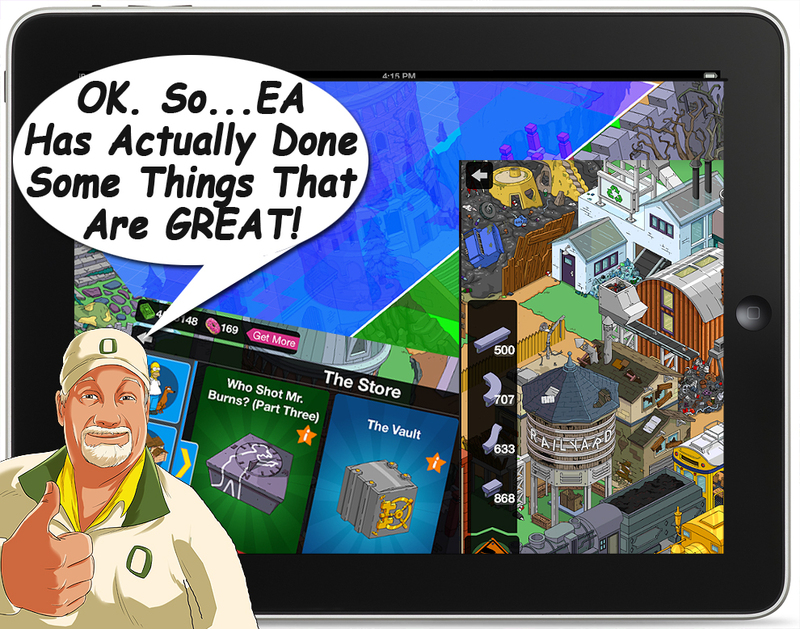 A bit counterproductive to EA’s bottom line…which actually makes it cooler, and a lot more generous! Character Finder- This simple tool, which has become kind of an accepted aspect of the game (until you lose it with the rollback glitch) is one of the greatest time-savers ever. Many of us Long-Timers have more than 200 characters in the game. So when you place them all in “4-hour-task-mode” it can take forever to clear them one at a time…even with a wide swath hit from the IRS building. Having my thumb poised over the top left of the screen, and hitting the middle of the screen as I blow through the characters to clear them. Bam…bam…bam… and I keep the volume turned UP, because I love the cacophony of voices as they get cleared. 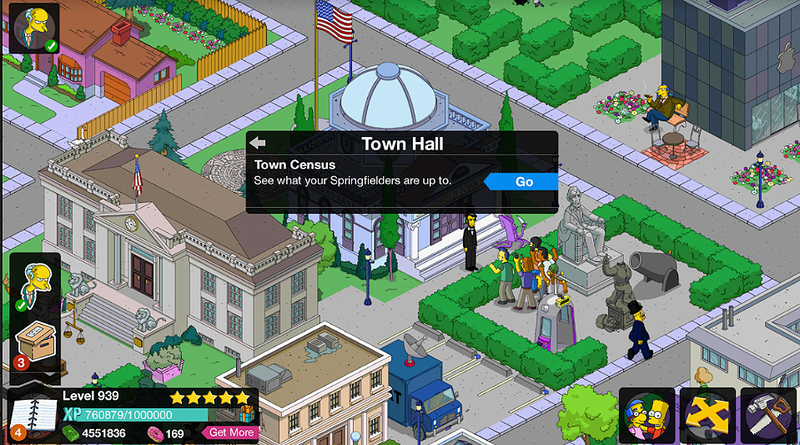 Town Hall Census- I mostly use this when I screw up and lose someone. I have a TON of weird rituals that I like to do in my town that involve certain characters doing the same things, repeatedly. It’s a quirk…but I have ’em. Sometimes in my zeal to clear my 4-hour tasks, I let one get away without catching it. Being able to use the Census to find and “correct” the wayward traveler, is invaluable to my sanity! LARGE area moving and storage- Do I really have to even explain this one? Being able to move, or store huge chunks of items, without nuking? Perfect. Amazing. And very helpful. I’m still on the fence about the recent inclusion of water/roads etc. in this ability, as it adds a couple of steps to my KEM clearance (I have a zone with water surrounding my KEM landing zones). But, Being able to clear huge numbers of KEMs with a single swipe? Perfect. Introduction of “the Vault”- While I don’t often use this, I admit that being able to get older items at a discount is pretty cool. I played super “Cheapium” for years (until recently becoming a KEM farmer), so there are actually a number Premium Items I did not purchase when they were available. Nice. Re-Introduction of Old Items at Discounted rates– I often complain about “retreads” in the game. But, I have to admit that the new “Rebate” program is pretty cool…even if it does in many ways promote KEM Farming. As I said above, there are loads of things I didn’t buy over the years, because I was cheap. Really cheap. I have bought more than a handful of old items with the rebate offers in place, with my “bonuts,” and I love a good rebate! The end of levels, and allowance of KEM farming. I know. This one is going to be controversial. Loads of people (including myself) moaned and groaned when EA stopped doing regular Level Updates, and pretty much “capped out” at Level 939. It took me a LONG time to “join the party” and bang through the levels with KEM Farming. But, the fact is…as long as you keep it all in perspective, it’s worth it. Alissa hates it…as do many of the “purists.” But the fact is, KEM farming, especially after you reach level 939, has made the game bearable again, during a time when the Major Events have all started to feel repetitive.It is a quid-pro-quo arrangement. Yes they lose donuts…but they get dedicated tappers who come back every 4 hours, no matter what else is going on. Addicts are faithful, because they have lost all reason, and are easily directed by repetitive muscle memory, to keep writing about, and promoting the game we love. After years and years of dedication and loyalty (Bite Me Fortnight!! ), we remain addicted to the game EA created…week after week…month after month…and year after year. I may pull the chain of our “creator” every once in a while. But, even I…the crankiest of EA fans…have to admit. There are some pretty cool things that EA has done for us over the years. Hats off to EA! WhooHoo! Woot! Woot! Huzzah!!! 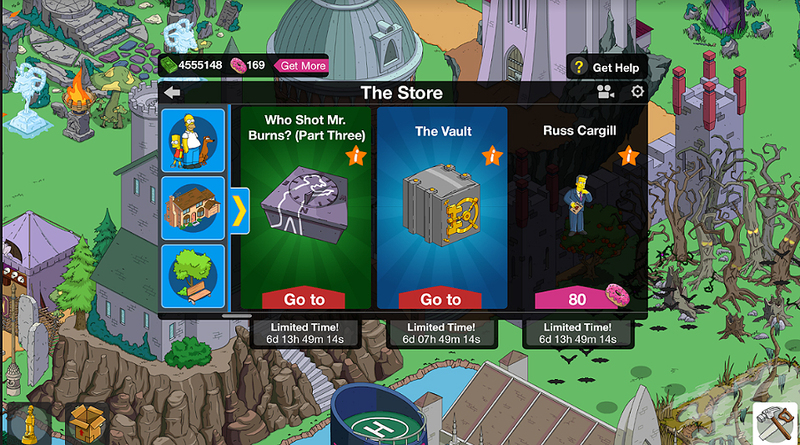 Now, get rid if Item Limits and Bring Us Sarah Wiggum!!!! What are YOUR favorite EA Innovations? What do you use every day? You know we LOVE to hear from you! 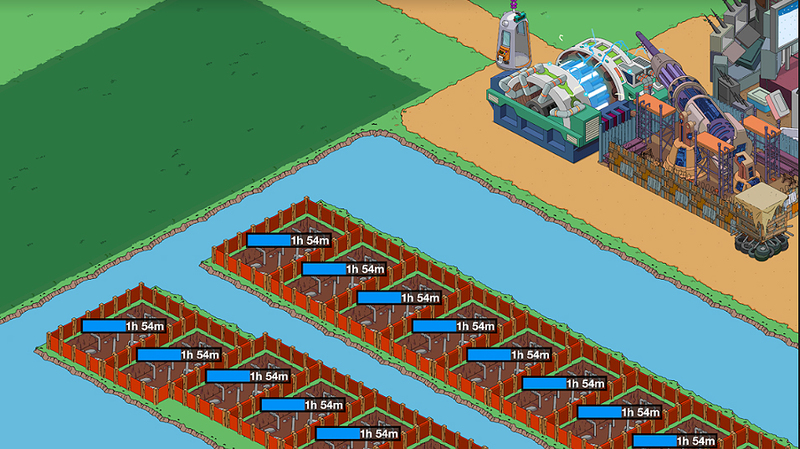 This entry was posted in Friday Filler, Tapped Out and tagged Tapped Out Tips and Tricks, The Simpsons Tapped Out, TSTO, TSTO Addicts, TSTO Community, TSTO Donut Farming, TSTO Rail Yard, TSTO Tips and Tricks, TSTO Town Hall Census. Bookmark the permalink. I love being able to still (occasionally) generate new Squidport tiles after hitting the max. On of my favorites at the time was when you could visit the next neighbor by hitting the arrow rather then returning to the neighbor screen. One less load per neighbor a ton of time saved. However, now that neighbor visits for events or donuts are not as important it is not as useful as it use to be.